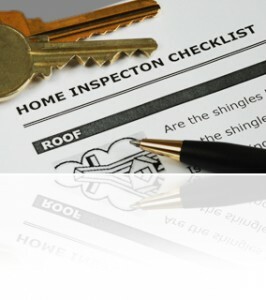 A home inspection is a vital part of the buying process. It protects you from unknowingly purchasing a house that has serious deficiencies – and thereby turning what was initially a dream home into a nightmare. So what actually happens during a home inspection? Here are a few snapshots of what to expect. There is no quick way to properly inspect a house. A thorough examination by a qualified home inspector will take at least two hours, and possibly longer. Don’t just wait around. Accompany the home inspector during the examination. An inspection is a lot like a doctor’s examination. It should check every system of the house for potential problems: structural, electrical, heating and cooling, roofing, ventilation, grading (to ensure that water drains away from the house), and plumbing. Ask questions during the inspection. Learn all you can about the maintenance of the house, what needs to be repaired and other issues. If there are problems, find out if they are serious or relatively minor. When the inspection is complete, you should receive a comprehensive written report. If you don’t understand something, don’t hesitate to ask. There are several options for dealing with deficiencies, including asking the seller to make required repairs or asking to renegotiate the price based on the cost of repairs.